At this Wednesday's meeting, we had 14 members present as well as one guest, Anicia Miles. 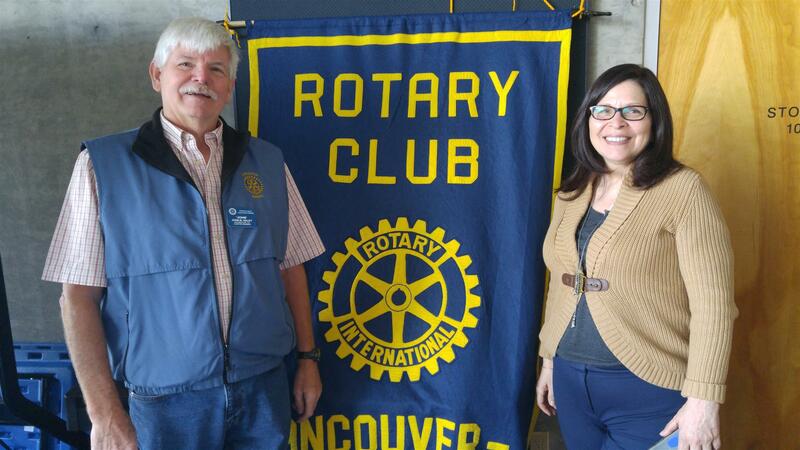 Sheila Anderson is doing the Rotary Moment this month. Today she told us a story about a young woman's journey with Rotary. Sylvia Barton is our District’s first participant in the New Generations Exchange Program and this is the story of the journey she has embarked on with Rotary. Sylvie as she is known by those close to her, is a 3rd year student at SFU majoring in criminology with a minor in First Nations Studies. Only 1 week to go until the Hoppathon! Don't forget to send out your emails. Meeting - Today our guest speaker was John Haley, who showed us a slideshow of his trip to Africa.